Planning to sell your Belgian business? Watch out for Belgian law reforms! Belgian law is undergoing major reforms. 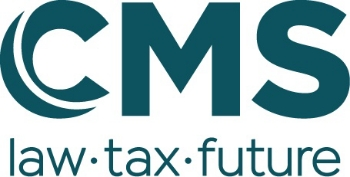 You might have heard about the new Belgian Companies and Associations Code (“CAC”) through the CMS Belgium LinkedIn webpage, but the Belgian government is also intending to modify the Belgian Civil Code (“CC”). Both reforms will have an impact on the Belgian M&A practice. On 28 February 2019, the Belgian parliament passed the CAC. It should enter into force on 1 May 2019 for new companies and associations and from 1 January 2020 for existing companies and associations, with an option to opt in as from 1 May 2019. The Belgian government is also looking to reform the CC, although it is unclear when there will be a vote in Parliament. The draft modifications regarding “evidence” and “goods” were introduced in Parliament last year, but the preliminary draft modifications regarding “obligations” (“Draft Law”) and “extra-contractual liability” have not yet been introduced. their contractual documents, such as asset purchase agreements (“APAs”), share purchase agreements (“SPAs”), shareholders’ agreements, internal governance rules and directors’ agreements. APA: the purchaser is, essentially, looking to acquire the company’s assets and liabilities. The company will therefore be the seller of the assets. SPA: the purchaser is looking to acquire the company’s controlling shareholding. The controlling shareholder(s) will therefore be the seller(s) and the purchaser will acquire the company’s assets and liabilities indirectly. the buyer did not know and was not expected to know about the existence of that information. 1.2. The Draft Law furthermore clarifies that the seller’s requirement to provide certain information depends on the parties’ capacity (such as their professional experience and financial position), their reasonable expectations and the object of the agreement (e.g. for SPA/APAs, smaller companies have a straightforward structure and composition whereas larger companies have a complex structure and composition). negotiations are well advanced and the agreement is ready to be executed and the other party suddenly decides to terminate negotiations without (reasonable) motivation. the repeal of the principle of “one share, one vote”. 2.2. Where under the old Companies Code there had to be a link between the value of the contribution to a BV/SRL’s share capital and the number of shares issued in exchange, the CAC allows shareholders of a BV/SRL to make the number of issued shares disproportionate to the value of their respective underlying contributions. Furthermore, the CAC provides the option of creating shares without voting rights or with multiple votes (subject to there being at least one share with one vote), preferential shares or non-profit shares, etc. These options must be stated in the company’s shareholders’ register. 2.3. This also applies to the NV/SA (the “naamloze vennootschap”/“société anonyme”). While this company form still has share capital, again there no longer has to be a link between the value of the contribution to the share capital and the number of shares issued in exchange. The issuance of shares without voting rights or with multiple votes is also allowed (subject to there being at least one share with one vote). 2.4. Therefore, theoretically, a BV/SRL or NV/SA may have multiple shareholders with only one of them having voting rights and thus controlling the company. A prospective purchaser will need to carefully consider whether it is indeed acquiring a controlling participation in the company and, if applicable, how its rights should be articulated in a shareholders’ agreement, if any. While the duty to pay in the event of the target company’s request of a transfer of shares not fully paid up was regulated for the NV/SA (article 507 of the Companies Code), this was not the case for the BV/SRL (previously the BVBA/SPRL). This led to divergent views in legal literature and case law, and hence legal uncertainty about the parties’ obligations. The CAC now clearly provides that as long as a BV/SRL share is not fully paid, both seller and purchaser are jointly and severally liable vis-à-vis the company and third parties for the non-paid portion until full payment of the share. This provision of the CAC is mandatory, so that any provision to the contrary will be deemed null and void. One of the most significant new provisions in the Draft Law is the introduction of the doctrine of frustration (“hardship” or “théorie de l'imprévision”/“imprevisieleer”). This doctrine allows a party to ask the other party to renegotiate or terminate an agreement where an unforeseen event occurs after the conclusion of the agreement, without breach by either party, which renders the contractual obligation impossible or difficult to satisfy. As this doctrine is not accepted under current Belgian law and case law, acquisition agreements often include a “Material Adverse Change” (“MAC”) clause, protecting the purchaser from significant changes that could reduce the value of the target company or its activities. MAC clauses allow the purchaser to either (i) walk away from the deal if it is a condition precedent to closing or (ii) ask for an indemnity or an adjustment to the purchase price. 5.2. Share buy-backs will no longer be limited to a cap of 20% of the issued share capital of the company. 5.3. The CAC also provides more flexible rules as regards the distribution of dividends. Any such distribution, including for profits in the current financial year, is now possible at any time (no waiting periods). Another related change for the BV/SRL is the fact that the validity of any distribution of dividends will be subject to a double ‘test’: a liquidity test (i.e. the company must still be capable of paying off its debt after distribution) and a net-asset test (i.e. the company’s net assets should not become negative as a consequence of the distribution). 6.1. Where less than 100% of a company’s equity is sold, SPAs often include the obligation for the remaining shareholders to enter into a shareholders’ agreement with the purchaser. Such agreements are concluded among the shareholders of a company and determine their rights, obligations and protection relating to the company. 6.2. Various aspects of the CAC will have an impact on such shareholders’ agreements, e.g. the introduction of multiple voting rights, a new, more flexible regime on the exclusion and withdrawal of shareholders, and the unrestricted transferability of shares in most company forms. These may impact how a shareholders’ agreement can structure control of a shareholder over the company, share-pricing clauses for withdrawal or exclusion of shareholders, standstill clauses, etc. 6.3. Inalienability clauses must now be justified by a legitimate interest for the company at the moment the agreement is entered into (as opposed to at all times during the agreement’s entire duration). All such clauses must now be registered in the company’s shareholders’ register. While this is not provided for by the CC, the Draft Law now expressly provides that where a provision of an agreement is declared void, this will not affect the validity of the other provisions of the agreement, or the agreement as a whole. This principle only applies to agreements that are “divisible” (i.e. having obligations that are not interconnected and can thus be performed separately, such as non-compete provisions which can be performed separately from the payment of the purchase price), taking into account the parties’ intentions, and the purpose of the provision that was declared void. SPAs/APAs usually already provide for severability clauses. Finally, a party will be entitled to terminate a purchase agreement in exceptional circumstances in the event of an “anticipatory breach”, that is, at the moment it is expecting the breach of a contractual obligation to occur, before the obligation being due. A relevant example for M&A is the purchaser being declared bankrupt before closing and thus creating the expectation of not being able to pay the purchase price. The seller will in that case, by virtue of law, be able to terminate the agreement before closing. Conversely, the contracting parties are allowed to define “anticipatory breach” (by defining the term “exceptional circumstances” or by removing the need for such circumstances) or even exclude the option of terminating the agreement on that basis.